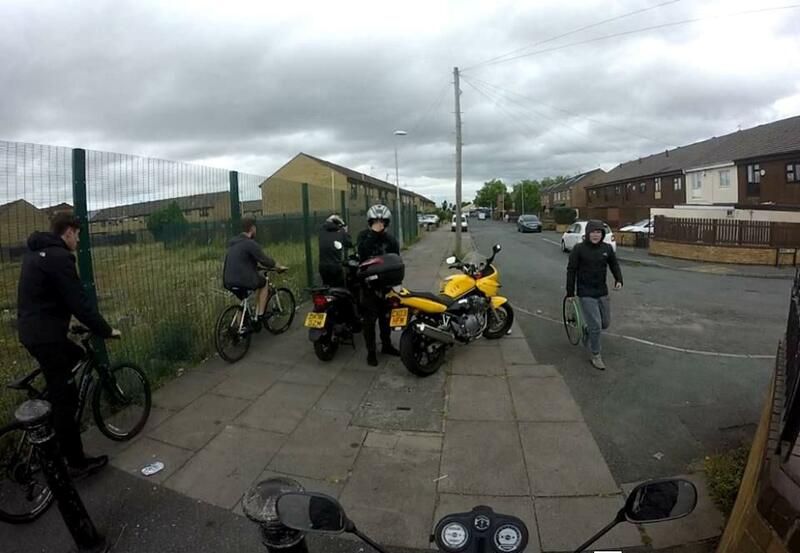 A biker in Liverpool, posted a video to his Facebook page showing the moment he was hit over the head with a bicycle wheel, after confronting a group of youths over an alleged stolen motorcycle. You can view the footage at the bottom of this page. After being sworn at, Andy can then be heard saying, 'don't make me phone the police', before one of the youths replies: "Go on then, phone the police lad." The footage then shows a second youth hit Andy with a bicycle wheel, moments later Andy manages to ride away. "Anyone recognise the little cherubs? I'll upload the video as soon as my computer lets me..."
A spokesperson for Merseyside Police told the Liverpool Echo: "We received the report at around 7pm on Monday, 18 June of an assault taking place on Bentinck Street and we can confirm it is currently being investigated." According to reports the yellow Suzuki Bandit was returned to its owner after being abandoned on the street.